HOW DOES THE RESVERATROL PEPTIDE COMPLEX WORK? The Juvaura Resveratrol Peptide Complex moisturizer is another product to use daily to help revive your skin and to make it look younger. Used on a regular basis, the Resveratrol Peptide Complex will help to smooth the appearance of expression lines, lighten skin tone and improve complexion, and moisturize and hydrate the skin while providing powerful antioxidant protection. Our complex contains the same four peptides as found in our Multi Peptide Serum which help to relax the muscles in the face and reduce the appearance of wrinkles caused by muscular contraction (a safer, less-invasive way of achieving the same effect as Botox). It also contains the signaling peptides that cause fibroblasts to increase their collagen production and the hyaluronic acid to moisturize the skin and counteract water loss. Look in the Multi Peptide Serum section to read about the science behind these compounds. So what is unique about the Resveratrol Peptide Complex? The addition of resveratrol itself for one thing! Resveratrol is a powerful skin brightener – used to diminish age spots, reduce excessive pigmentation, and achieve an even skin tone. 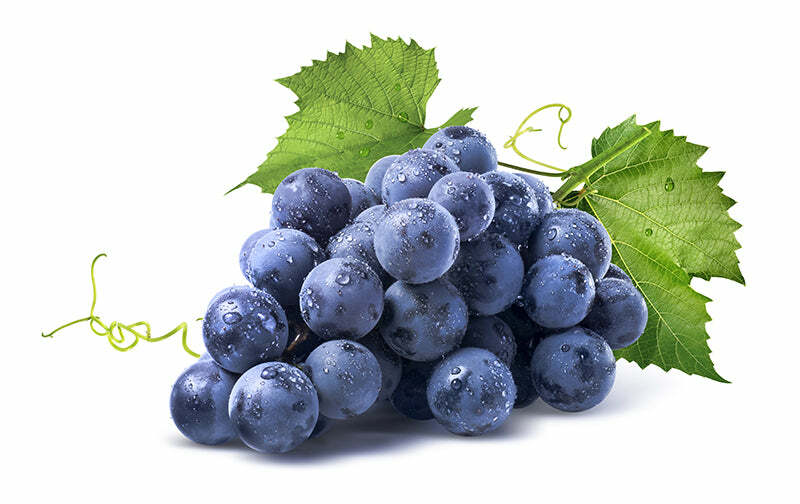 Probably most known for its potent antioxidant activity and the fact that it is found in the skin of grapes, resveratrol does much more for your skin. It can block the compounds that break down collagen, reduce inflammation, and inhibit the production of melanin in the skin. Resveratrol binding sites have even been identified in the epidermis, further highlighting the importance of using a moisturizer containing resveratrol like the Resveratrol Peptide Complex for its powerful antiaging capabilities. The Resveratrol Peptide Complex also contains two valuable natural seed oils – Jojoba seed oil and Apricot kernel oil. 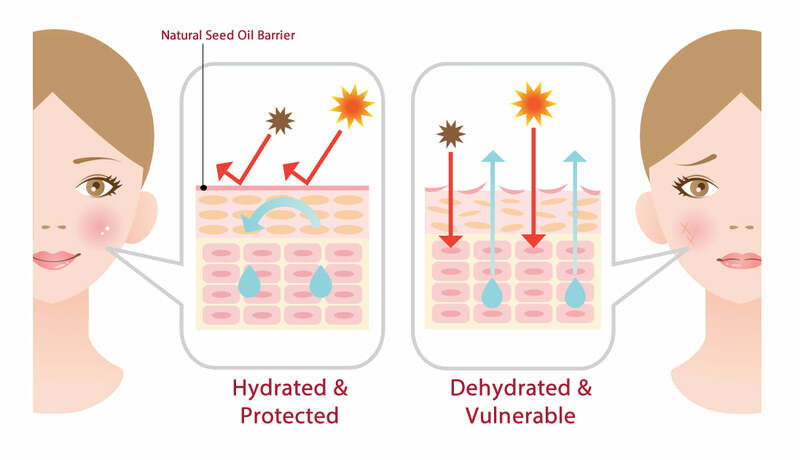 Natural oils help to moisturize the skin by repairing the epidermal barrier to prevent water loss. It can be a challenge to find natural oils that moisturize the skin without clogging the pores, and Jojoba seed oil and Apricot kernel oil are two oils that meet these criteria. The oils form a light barrier on the skin which reduces water loss and prevents the entry of irritants, allergens, and microbes to the skin. Jojoba oil, from the Simmondsia chinensis plant, is a plant-based oil with the closest match to oils naturally produced by the skin and which are stripped away when we wash our face. Apricot kernel oil, from the Prunus armeniaca plant, contains mostly linoleic acid, an essential fatty acid that is a very important structural component of the epidermis’s water resistant barrier. Finally, the Resveratrol Peptide Complex also contains squalene. Squalene is a natural part of the oil produced by your skin’s oil glands. An insufficient production of squalene, or repeated face washings without use of a moisturizer afterwards, can result in coarse, dry, and even cracked skin. Having squalene as an ingredient in the Resveratrol Peptide Complex allows you to replace this natural oil that is lost during the cleansing process. Our Resveratrol Peptide Complex is perfect for all skin types and recommended for daily use. Apply it after first cleansing your skin with our Natural Cleanser, preferably in the evenings. Resveratrol can be degraded when exposed to UV radiation, and so you will get maximum effect from this ingredient by letting this moisturizer work on your skin while you sleep. The Resveratrol Peptide Complex contains a blend of ingredients that result in a true age-defying formula that will reduce the appearance of wrinkles, provide antioxidant protection, hydrate, moisturize, and keep your skin light and radiant in a beautiful display of youthful attraction. Over 50% of the hyaluronic acid in your body is found in your skin. But it is also a compound found in your eye, the umbilical cord, the fluid surrounding your joints, skeletal tissue, heart valves, lungs, the aorta, and the prostate gland. 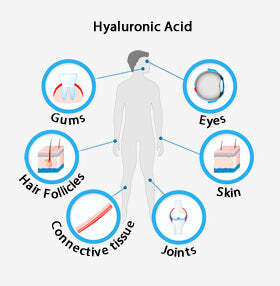 Hyaluronic acid provides hydration, lubrication, acts as a “space-filler”, and provides a framework through which cells can move to the correct location. While you can topically apply hyaluronic acid to your skin with products like the Multi Peptide Serum, the Resveratrol Peptide Complex, and Rapid Lift, you can also get more hyaluronic acid through your diet by eating bone broth, soy-based foods, starchy root vegetables, citrus fruits, and leafy greens. Farris et al. 2013. Journal of Drugs in Dermatology. Vaughn et al. 2018. American Journal of Clinical Dermatology. Souyoul et al. 2018. Dermatology and Therapy. Oyewole and Birch-Machin 2015. Experimental Dermatology.